No matter what you study or do to make a living or in life there will times when you need to memorize something. This could be essential to your studies or business but sometimes what you need to memorize might not be so easy to commit to memory. You can learn and apply these memorization techniques much better when provided as actionable steps and they are easier to understand with examples like those that we provide below. These memory strategies use not only the memorization techniques presented elsewhere, but I’ll also do better by presenting them as actionable steps. Each step will set out the following. I’ll explain how to do each step by way of example. Finally, for each step I’ll give you the key ‘Memorization Technique Take-away’ points. Each example for every step comes from a way I developed for students to memorize a somewhat esoteric set of information they need for their work. Everybody has something that will save you time and impress others if you can recall it from memory. TheTechMentor.com helps many people with computer related solutions. 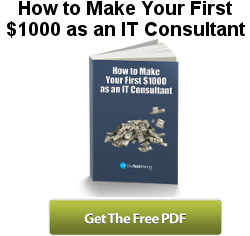 We help computer techs advance in their careers from students wanting to learn and become a computer technician through to experienced techs who want to start their own IT business. Students or Startups? 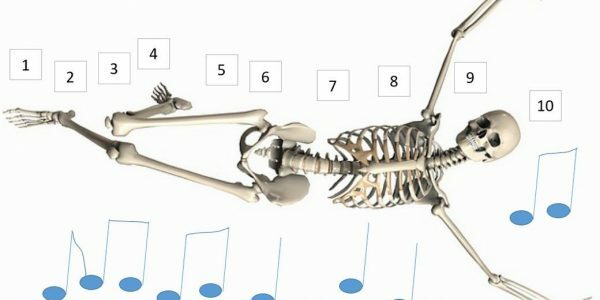 Memorization Tips ‘a plenty’ for you here! Of course students will do better knowing some memorization techniques. For the rest of us, you can save time when you have memorized something you need over and over. It will relieve you from the need to look it up. That may be online on your computer, on your smartphone, or in some form of reference manual. It can make you stand out and bring you respect because most people never take the time to learn how to memorize key information quickly. The good news is it’s a skill you can learn, the more you use them the easier and quicker these memorization techniques get. I’m going to show you how to remember some business facts that you need for your work. My specific example might not matter to you, although it is a great example because it is used to remember the order of a series of colors needed to wire an Ethernet cable connector. Just like remembering a string of numbers (like phone numbers), remembering a string of colors doesn’t come naturally to most people. Step 1: Get the information! Does that seem too obvious? Hang in there; I promise we get to the good stuff very soon! This simple step comes first because many memorization techniques state you have to know or understand the information, and this is not strictly correct. I make a point to avoid stating it this way. Furthermore, I list it because I want to break it down to the most simple or fundamental level. It has to be step number one! If you understand the information that might make it easier, but it is not necessary. For proof you can consider an international memory competition requires competitors to memorize as many shuffled packs of playing cards as possible in a limited time. There isn’t really anything to understand here. I suppose one could argue at some rudimentary level that it helps to know what playing cards are and how each card is organised with numbers or letters and with colours or images. Yet I argue at a more basic level you could still memorize a series of cards whatever they are, even if you never saw that type of cards before. Therefore, you might not really need to know the information or understand it, but without question, you do need to have it. In my example the string of colors my computer network students want to remember is available in what is called an RJ45 (Ethernet network) pinout diagram. Some people carry a printout of these on the job until they remember them. That’s fiddly, slow and a hassle. While it might be somewhat practical for students in that situation you don’t want to have to do that with everything. Compare that to having a card with your best friend’s phone number on it. You might say that with your smartphone you never remember phone numbers anymore. Ask yourself what you would do with a flat battery or if you left your phone behind. To remember a friend’s phone number by looking it up on a card you carry with you is ridiculous these days. My point is to help you see it is a very slow memorization technique. Note: If you use flash cards often enough and for long enough you probably will memorize it eventually. However, we want fast memorization techniques! Getting back to you, stuck somewhere without your phone and urgent need to phone a friend! All is not lost, if you can borrow someone else’s phone and IF you have memorized the number! Much better to quickly memorize that information using these memorizing techniques. Are you sold on the idea? Okay then let’s agree and go. I admit this first step is rather obvious and it is more action than memorization technique; you need to have the data or information first to be able to memorize it. So get yours (if you do not have a specific need, get your best friend’s phone number) and let’s begin! This is so important that I nearly chose to start this entire list of steps with it! An obvious starting point is essential because everything else hangs off the starting point. Well, even that is not strictly true, but you will memorize more easily if so. My first step in teaching the Ethernet wiring color order was to identify that the first color pair is orange. The answer 99% of people who use the English language will come up with is an orange, because an orange is orange. I would apply some caution to referencing that statistic because people make up on the spot 99% of statistics intended to indicate a gross generalization! An orange wire pair is how the students start because an orange is orange – so obvious that they can not forget. Find something obvious. Look around your subject at a basic level to find an obvious and easy starting point. It is okay if you need to adjust or refine this obvious starting point to tailor it to your situation because we can and will do that in a later step. You can do this in a number of ways, and the more the better in fact. A better network of links between and around your subject makes it harder to forget. Imagine a gold ring (my precious!) hanging by a single thread. If the thread breaks, the ring will fall. If there are several ties then if you lose any one of them, the others still hold it enough that the ring will not fall. This image is a little abstract I know, although it is quite similar to how our neurons connect in multiple ways to construct our brains and our memory works the same. 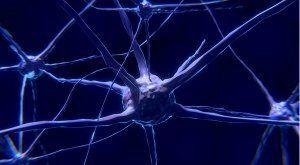 Interlinked nerve cells in a neural network. A simple piece of information you only need to remember for a short time might only require a simple image or story. 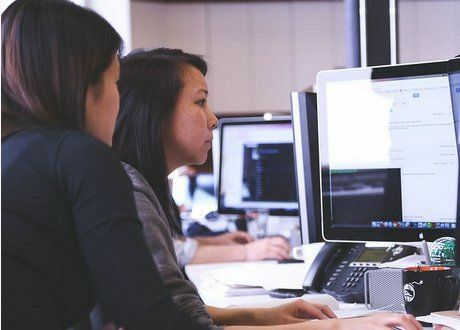 You can remember a larger amount of information that you need to retain for a long period with a more detailed and inter-linked network of ideas or story. There are many ways to do this for memory. You can make it visual, make it audible, look for patterns, and so on. 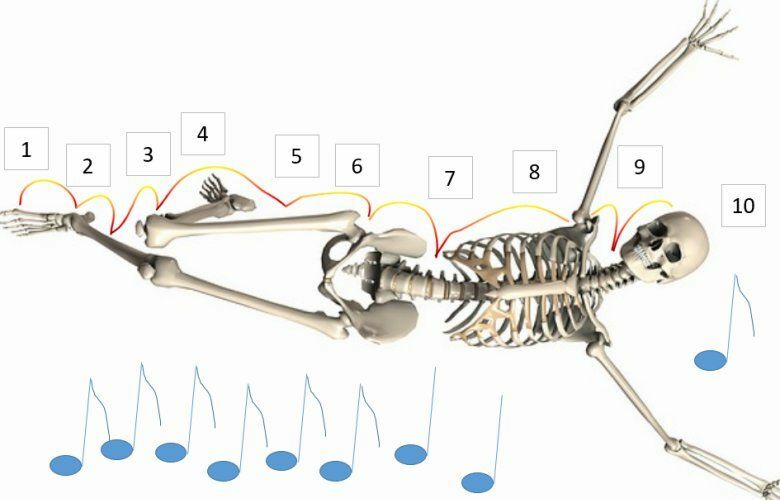 This step is so broad and really contains so many mnemonics (or memorization techniques) that we will break it down into smaller steps. For my example, remember they need to remember a string of colors. Quite difficult. I made my students a rhyming riddle or poem that sets out the color order they need to remember. The lyrics have rhythm and logic that help them remember the poem. There is also pattern that I point out which once observed makes remembering key parts of it easy. Then I went ‘above and beyond’ that and created an image that is amusing (to me) and that supports the poem. Some students just think it is silly, which also works. The thing to observe here is that there are several ideas or methods all linked together that support memorizing the series of colors. Let us look at these tools to make a network around your information, as further steps in more detail, so you can do it too. A long time ago, a mentor told me we think in images. 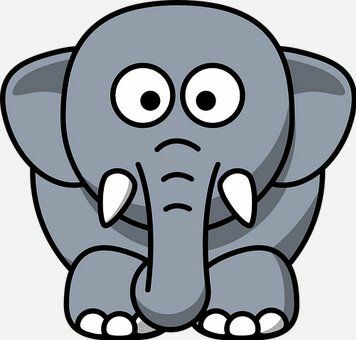 Have you ever had someone say to you “don’t think of an elephant”? Before you know it, an image of an elephant popped before you in your “mind’s eye” before you could erase it. I must agree it seems true that we think in images, or at very least images are very important to those of us with a strong visual sense. I believe images are easier to remember because there is more information in an image than you might at first realize, thus giving more natural links within your brain to it. Have you ever heard that ‘a picture is worth a thousand words’? That sounds like another one of those gross generalizations for which the statistics are a bit rubbery! Elephants have good memories, and we do seem to think in pictures to some degree. I wonder if that is why someone thought to ask, “don’t think of an elephant”? One of the memorization techniques for remembering numbers is to turn each number into an image. A 4×4 car can easily represent the number 4, for example. If you imagine a 4×4 car towing a tree trunk that somehow stays vertical (strange and therefore more memorable), that could represent a 4 followed by a 1. We do seem to be visual creatures and this is a very useful one of the memorization techniques presented. For my example, I tell my students to remember an Orange as their starting point. Then I show an image I created, which has an orange at the top. In this case, it is a very simple cartoon style image. I present the overall series and poem in an image of several parts. I placed the orange at the top because we read left to right and top to bottom, so there is never any doubt the first thing is the orange! Think about what image represents your information, and ultimately for each part of it. Your image might be very simple like in my example, or it might be very rich detailed image. What you chose will depend on your situation. A string of related or interacting images will allow you to remember a series of things and a lot of information. Some people have heightened auditory senses. Sounds and music are more meaningful to them than to others. You might be more suited to use this than you think. You can speak phone numbers with a rhythm and tone that helps remember them. Often when recalling a phone number you have memorized you will not say it aloud, however the rhythm will be there in your mind, helping pump out the pattern in order. My students need to remember eight colors in the pin out order, so this lends itself nicely to a little riddle with two colors per line, making only four lines in total. There is a natural rhythm to the poem and the second and final lines rhyme. This memorization technique is not always used, yet the more links you build to your information, the easier it will be to remember. Can you make up a little rhythm, poem, ditty or song to support your memory of your information? I stress that you can speak phone numbers with a rhythm and some degree of tonality (i.e. rising and falling tones as spoken). Why not try to include this every time you need to remember something? You may find it works for you. Furthermore, if you are to teach or impart information to a team, think of a little rhyme that may help them remember. Evolution has wired our brains to notice patterns. I expect this relates to the interconnected nature of wiring within our brains. Patterns are a form of many links. Note they can be in audio form in addition to visual. Any sense or logic can have patterns. This forms another of our memorization techniques to see if you can apply to your data. Sometimes you may need to be a little creative to see the pattern. Look ‘from the side’ or review your data in a different way to see if you can notice something. As an example, the string of colors my computer students need to remember are how wiring pairs are connected. A white stripe distinguishes the wires pairs with the other having a solid color. In my example the first color is white-orange and then orange. The wiring format most often used has a pattern one can see if you look for it. In fact, if one studies the RJ45 Pinout diagram, you can see that every first color of two has a white stripe. This is our pattern! If a student realizes this then they know that every odd number wire has the white striped version first. This makes the first two colors in their series white-orange then orange. This pattern is never broken. No matter which wire they are up to in the series, students know that the first has a white stripe and the second is a full-color wire. This is very helpful extra link to remember the string of wiring colors. In this example, you may have noticed that we picked our easy starting point as orange because an orange is orange. However if you noticed that the first wire is white-orange (the orange wire with the white stripe) and that we adjusted our ‘obvious starting point’, then you win bonus points! Here our example shows what I wrote earlier; you can tweak your obvious starting point using one of the memorization techniques in the subsequent steps! The take away for you is that patterns are automatically easier to remember once you have identified them, because they naturally make more connections within our brain without us even trying. 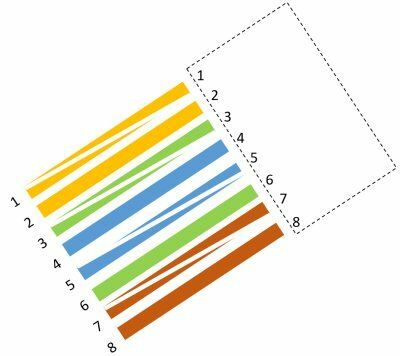 To embed this memorizing technique, look for patterns in your data. Sometimes a break in the pattern is very noticeable, once you have first identified a strong pattern. Once noticed it gives another tie to help you remember. This step in our memorization techniques is also worthwhile for another reason. If you are to remember correctly the full pattern of information, you need to take note of any changes from the most obvious basic pattern. Otherwise, under pressure or when the memory is distant you might get it wrong by assuming the simplest pattern holds. In our example, most odd and even numbers have the same base color in their wires. We learnt the first two have a base color of orange (and the first pair we saw was white-orange and orange). The break in this subsequent pattern we are considering, is that the middle two sets of wires do not have the same base. I show the students that after orange wires there is white-green with a solid blue wire. This breaks a possible pattern of base colors always being paired in order. The next pair are also of different colors. It is helpful to know that NOT every two sets of wires in order has the same color base! The fact you notice a change of the pattern gives an extra tie or link to the information you want to remember. Every little link helps and sometimes the change from the pattern is most important to memorize your information correctly. Our brains have a strong emotion functionality. I do not mean we are all ‘emotional’ in the sense that we all express our emotions strongly. I am referring to the fact that we all have things we like and do not like. We have all had experiences we feel were painful and some were fun. Some of these experiences have such strong emotional ties that we can never forget them. We can use this to create a powerful ability to remember whatever we want to memorize. It makes associating something we want to remember with a strong emotion that we can not forget one of the most powerful memorization techniques. If you want to improve memory power, remember “no pain, no gain” also works for memorization! Okay so the technique is broader than that. However, I throw it in there as it might help serve you as a reminder to use emotions. Next we look at our example to see how to do this step. 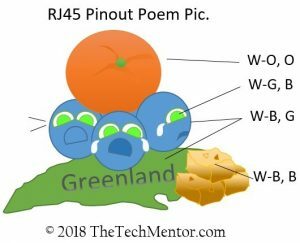 The RJ-45 pinout diagram poem picture for our students. Part of many memorization techniques (or mnemonics) networked together! In our example for the students trying to remember internet cable wiring color series, the pinout poem is in riddle format. It has a line that says, “What green eyes are blue?” I mean the word blue in the sense of sad or lonely. With this poem is a cartoon style picture with little critters with green eyes that are crying. While I might not seem to have much empathy, to me it is a funny little image. You cannot help but remember that the eyes are not blue but the critters are sad and ‘blue’. The wire colors they need to remember at this point are green and blue. They can easily remember that the question in the poem asks what green eyes are blue. It would not make sense the other way around. The point of this memorization technique is that using the emotional aspect of our being allows us to utilize more of our whole brain rather than just visual part or only the logical part, giving stronger ties to the information and greater ability to remember. Emotional events can be quick triggers to memorize fast. Include powerful emotion to improve memory power. This one of the memorization techniques is very useful. So much that some people use it as THE entire memorization technique. To use it, take note of a string of things you already remember or know, like body parts. For example (sing it if you know it! ), the foot bone is connected to the ankle bone. The ankle bone is connected to the shinbone. The shinbone is connected to the knee bone… well you get the idea. Use the method of loci applied to the body. One of the more powerful memorization techniques for things in order. As you make you way up or down the body you have your already known ordered list to ‘attach’ or ‘hang’ your new list onto. If your list has a hat, hopefully it is at number ten so it ‘lands on your head’ with this method, LOL! There are several variations of this method. An ancient memory technique (probably how we know of this today) relies on remembering parts of your home or property in order. This gives you ready-made places to mentally store (or rather ‘associate’) many new items. You can choose to flow through the place in the same order every time (for example from the front door) to remember the newly associated items in order as you mentally arrive at each place. We know this technique as the ‘method of loci’ (Latin for places) or mind palace technique. For me this works well but it is not the quickest of memorizing techniques when you start out. As you will see, I soon contradict myself below because it depends on how you look at it – or rather how much you prepare. Firstly you have to build you string of things you will use as your known series. Some might argue you already know the list. Secondly, you have to memorize how you intend to flow through the items in order. Thirdly, you have to build associations with these places or parts of the known list, which can be a little weak if you do not use the other memorization techniques. The irony is that, once prepared it can be very fast! One of the fastest memorization techniques if used correctly. The analogy is these mental gymnastics are like exercises for your muscles. Do the little mental push-ups that are building the associations and recalling them by flowing through your pre-built list. In time, you will find it easier. If you practice this technique, you will improve memory power, no doubt. In my view, it is a fine approach but it is a little thin unless supported by use of some of these other steps, particularly during word association from your items to the known list. In other words, don’t forget step 3! Mentally place information in order as we read or as we see them in our mind’s eye. One thing links to the next so it is easy to remember the whole string from the start. That is also why we want to make the starting point so obvious you can’t forget it. In our example students remember an orange first and then that the little critters have green eyes that are sad and ‘blue’. We first identify what it is, the green eyes, then describe them, sad or blue. Green first then blue. 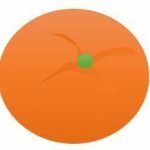 As we emphasized the first thing to remember is an orange which is orange. The first four colors in the network wiring series are white-orange, orange, white-green, and blue. You can see having noticed the pattern that all colors have the white stripe first also helps remember the complete order correctly. Link one thing to the next in order. If you want you can identify a list of things you already know that you can follow through in order, like your body parts. Practice building associations with you known list. This memorization technique can take some effort to set up and to practice. Once you have mastered it, it also can be very fast, because when you have a string of things you already remember, you can quickly create an association to that ready-made list. BAM! There’s your instant new list memorized in order! Any one of many memorization techniques are great and they will help you commit to memory almost anything. Do try to combine more than one technique to ensure you have multiple links to important data. Practice the memorization techniques that you prefer or that you find work best for you. To help you remember what you are committing to memory, go over it several times. This helps for any of the memorization techniques. You can go over it with pen and paper, Writing it out over and over. This is a great method for students at almost any age. You can go over it in your mind’s eye when you lie in bed before sleep (and when you wake up). You can go over it in whatever other way you might creatively come up with! For example, think about the images, sounds or ideas you created and how you constructed what links them together. Remind yourself why you thought of each idea and how it pieces together. You can think about the overall piece too. This helps commit it to memory by reinforcing those networks. The brain has different types of memory: long and short term. To remember something longer term, it helps if you revise it several times to convert the memory from short term storage. I propose you revise the information at certain intervals in a recurring fashion. This teaches your brain that you will revisit the information, and somehow lets it know to store it in a part of the brain for repeated reuse. This is an important memorization technique in its own right. It is not about how you learn to store the information, it is about training your brain that you will need this information again. This allows your brain to recall it when you ask for it! For something you just need to remember for one day, you might revisit it several times over a few minutes. For something you want to remember long term, think about it every day for a few days and then once a week, and then perhaps once a month. Exactly how often you need to revisit it depends on you. For me, I’ve found that if I think about it morning and evening for a few days in a row it helps commit it to longer term memory. Eventually with the right balance of revision you will remember anything longer term if you have committed it to memory. You can learn something by wrote (i.e. just saying or writing it over and over, like your multiplication tables). Provided you revisit it and continue to use it, then you will continue to remember it (like your multiplication tables!). At some point in time you won’t need to remember the associations that helped you get it in into your head. You’ll just ‘know it’ and will be able to sprout it without thinking about it. With homage to ‘Hitch Hikers Guide to the Galaxy’, I don’t know how my brain remembers that six sevens are forty-two. I just know that it is! 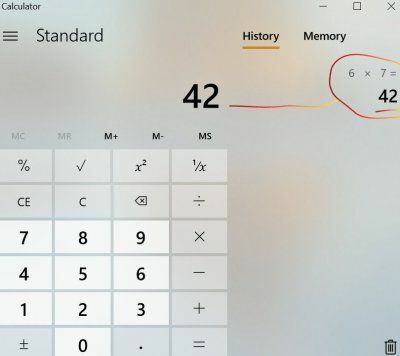 I guess this calculator is just proof that those multiplication tables I learned by wrote still are there and correct! When you want to memorize anything it will likely help if you throw in a combination of memorization techniques. The steps help enable use of these memorizing techniques for students and for business owners and employees. They can be easy to learn when you follow the actionable steps set out above. Start with getting the information and look for a really obvious starting point. You can harness two of the most powerful memorization techniques when you use your emotions and when you use the ‘method of loci’. Good luck with you efforts. Remember practice makes perfect and certainly a more powerful memory! Feel free to add any other techniques I missed that you find helpful in the comments below.